As an Invisalign® Dentist, we live by the motto that there is no time like today to start straightening your teeth. There is nothing more amazing than a smile, and so we encourage people to start their treatment whenever they can. Summer makes most of our patients think seriously about how to get malocclusion under control. Malocclusion is also known as crooked teeth and is something that affects millions of Americans around the country. As summer comes around we start to smile more, which is unfortunate for people with malocclusion since they tend to be shyer with their smile. Summer is definitely a time for fun and a time for change. All across the country people are going to be throwing off their winter coats and exchanging them for swimwear. Fireplaces are going to give way to fire pits and bonfires on the beach. This is actually the perfect time to give up that imperfect smile, those crooked teeth, and to get started on a treatment that can have you smiling with a gorgeous set of perfectly straight teeth by next summer. If you were to start now, you might actually be able to see tangible results by the time the family gathers for the annual Christmas photograph later this year. As an Invisalign® dentist, summer treatment is all about convenience. If you ask us to list all the reasons why this is a better technology than braces, we will start with the fact that it is modern and go down a laundry list because we believe that Invisalign® can be better than traditional braces in many ways. From a summer perspective, we love to talk about food. Food is one of those things that brings people together during the summer. From cookouts and barbecues to picnics and family gatherings we are all going to be spending time eating this summer. With traditional braces, you will find yourself severely restricted as to what you can eat. You have to be careful not to damage the braces, or get anything stuck in them, or even eat food that might later cause cavities because of them. On the other hand, you have Invisalign®, an innovative new technology that allows you to eat virtually everything. 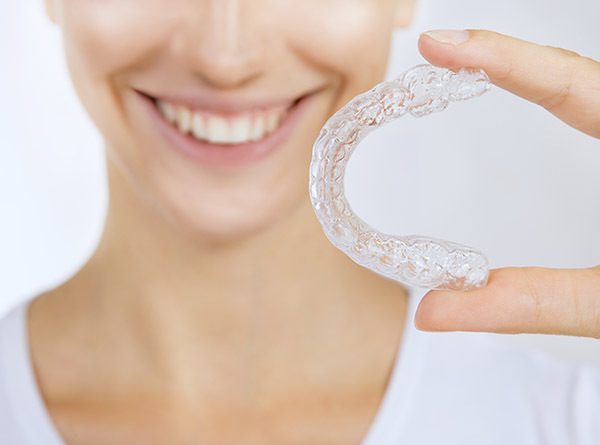 Naturally we are going to give you some guidance, and there are going to be some do's and don'ts, however, by and large you will be much freer when wearing aligners. What if, you have food that you really want to try but do not want to risk it with your aligners in? This is actually one of the beauties of using this technology. With Invisalign®, you would simply remove the aligner from your mouth, place it in a safe place, and eat your meal. After the meal you would, clean your teeth thoroughly to remove any food particles, and then careful place the aligners back into your mouth. It is actually that simple to eat all your favorite foods this summer. In fact, you are supposed to take them out while eating, making a treatment from our Invisalign® Dentist office both convenient and effective. To learn more, call and schedule a consultation.